All-Weather Floor Mats were intended to give the best possible protection for your 2011 Toyota 4Runner's floor. Many of our front and rear mat applications are model specific, while others are assigned as the best possible fit for your 2011 Toyota 4Runner from our many shapes and sizes. Some rear mat sizes are designed to be trimmed so that they may be customized to fit almost any vehicle. I received the mats promptly. They fit perfectly, look like they belong in the vehicle and are very functional. They are a good value--I highly recommend them. I purchased universal all weather floor mats. Quality is superb. Lead time was three days. What else could you ask for? My wife traded last thur. and needed floor mats. I ordered them online mon pm and they will be delivered today (Thur). I am in the market for seat covers and if Weathertech produced seat covers my search would be over. The fall of 1998 I purchased a 4Runner for my wife. The first after market purchase I made for the vehicle were some Weather Tech mats. In 2005 my wife was involved in a accident. She was not injured. The adjuster who came out remarked how well the vehicle had been taken care of. He even commented about the interior especially the carpet. I told him that the Weather Tech floor mats were respnsible for the carpet being in such great shape. Several weeks went by before the adjuster contacted me to let me know that the vehicle had been totaled and they would settle with me. I went to retrieve the mats and to my surprise they were gone. I replaced my wifes 4Runner with a Nissan Armada and the first after market product were Weather Tech floor mats purchased this year. I love my All-Weather floor mats. My husband was trying to find out what I wanted for Christmas, so I told him that diamonds are not a girls best friend, accessories for my 4X4 are a girls best friend! I had a list of things that I wanted for my 4Runner, and the All-Weather floor mats were at the top of my list. So I got the mats for Christmas and it was just in time. I went to Reno to pick up my nephews and my daughter and my nephews spilled a bag of skittles on the back mat. Needless to say, the mat saved my vehicle carpet and I was able to wash off the yellow, red, orange and green colors that I thought was going to stain my mat. It came perfectly clean! I will continue to buy products from Weathertech for my 4Runner, Jeep Wrangler and any other vehicle I purchase in the future! We own a health food store and our ice machine is at home...I have ruined carpets in numerous suvs...not anymore...my new mats will forever relieve me the task of drying out the inside of my vehicle after ice spills...thanks! I just recently moved to Minot, ND. Let me tell you the rumors are true; its cold!! My 2nd week in Minot we were hit with a blizzard. Snow everywhere. I grew up in Colorado, so snow is not a big deal, but in Minot its so cold snow sticks around till March. I needed all weather floors mats to protect my 4Runner from all the snow and slush. 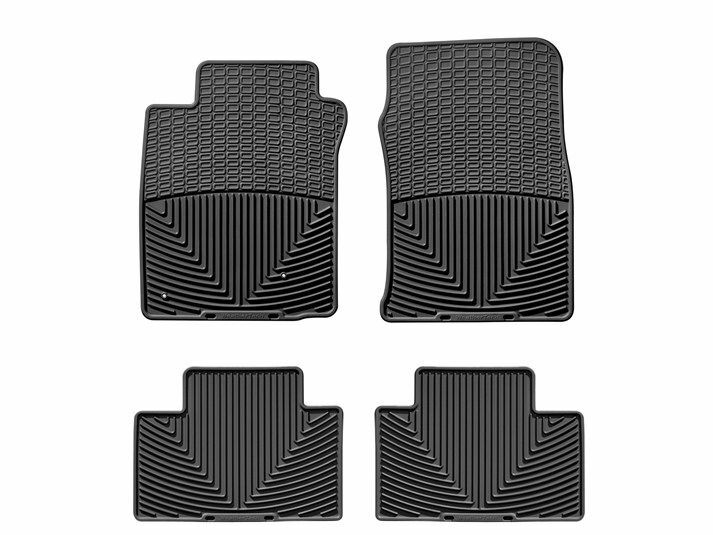 WeatherTech All-Weather floormats fit the bill!. Quality, fit and color are spot on! These All-Weather floor mats will protect my 4Runner through any ND winter. We love the custom fit of these floor liners, especially our new cargo mat! From going hunting to our son's sports activities, the liners keep the carpet clean and dry. I searched all over the internet for the lowest price and even with having to pay shipping, yours were still the lowest. Thanks for selling a great product and checking with your customers on their satisfaction after the sale. My WeatherTech All-Weather Floor Mats saved the day!! I was leaving Dunkin Donuts with a tray of 5 coffees on my pasenger side floor. I was exiting the parking lot and another car barrelled from around the corner. I had to slam on my brakes... The tray of coffees went tumbling over and one of the lids popped off, spilling 24 oz. of coffee.... If I didn't have weather tech, my carpet would have been ruined... I thanked you that day and I thank you again... Thanks WeatherTech for saving my SUV!! !